I feel like the last few weeks have really shown a growth spurt for Luke, which is reflected in the size of my belly. I went from feeling like I had just a little baby belly at 21 weeks, to feeling downright unwieldy at this point. Still, aside from feeling large, I feel really good physically. Weight Gain: 11 pounds at this point. So yes, for all of you crunching the numbers that means that I gained around 10 pounds since my last appointment. My eyeballs just about fell out of my head, but my midwife assures me that my body was just making up for the hyperemesis, and that my weight gain is on track. Movement: Oh indeed, but it is so different from the movement I felt with Jack. Luke is laying very low, so all of his kicks and wiggles are very low and more towards my back. Cravings: Not really, I am just thirsty all the time. Milestones: Watching my belly move around at night before bed has become one of my favorite activities. Also, as you can kind of see in the picture, my belly button has made a public appearance. 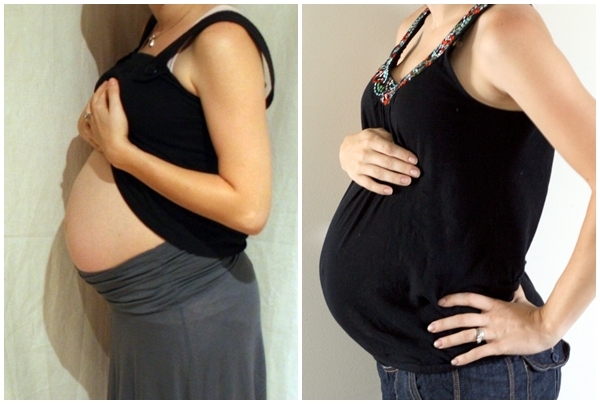 Just for fun I put together a little comparison between my 23 weeks belly with Jack, and my 23 week belly with Luke. For whatever reason, with Jack I took all of my belly pictures and cropped off my head...so it is a little hard to compare them. Jack on the left, Luke on the right. As I mentioned before, I am clearly carrying a lot lower this time around, which I think makes me look a little bigger. So there you have it, 23 weeks with baby brother! Also, can we all give props to Matt for taking all of my belly pictures this time?! It's nice to not be headless isn't it? You look great, Mama! Love your top, too, it's adorable! I tried to be better about not cutting off my head with Sprig's tummy pics. Not sure why I did that with Q's? Other than for the fact my face was so swollen. Ah, vanity, it's all vanity! 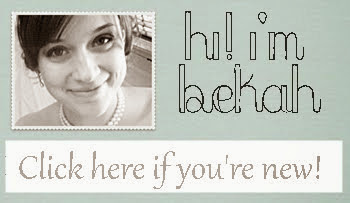 ;) I think you look fabulous! You look too cute. I agree that your top is just darling. So glad you're feeling well now! You look radiant! Don't you hate that you can't change what you did in the past lol? You look fantastic mama and I think you look the same! I think mentally we think we're bigger, but in reality possibly not? Whatever, you're the most adorable pregnant lady ever. Though yes, much better with a head. you look great! you're catching up to me in the weight gain department, haha.